The aging process and the ravages of time cause the skin to dry out and become rough. 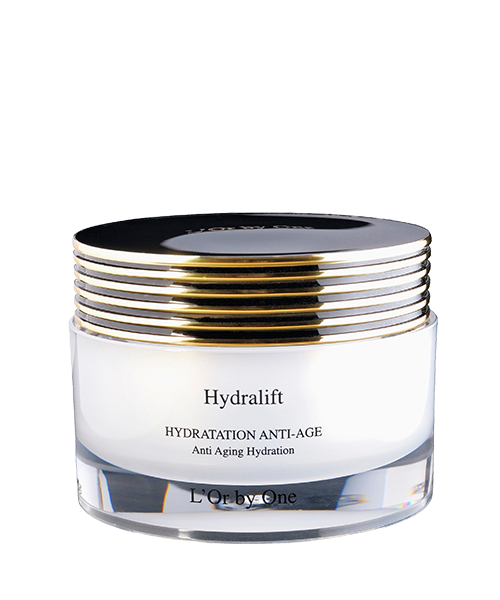 Hydralift is a unique treatment, specifically formulated for dry to very dry skin, which fights against the extreme onslaught of time and the weather. Texture: nourishes and moisturises your skin, ensuring continuous, lasting comfort. 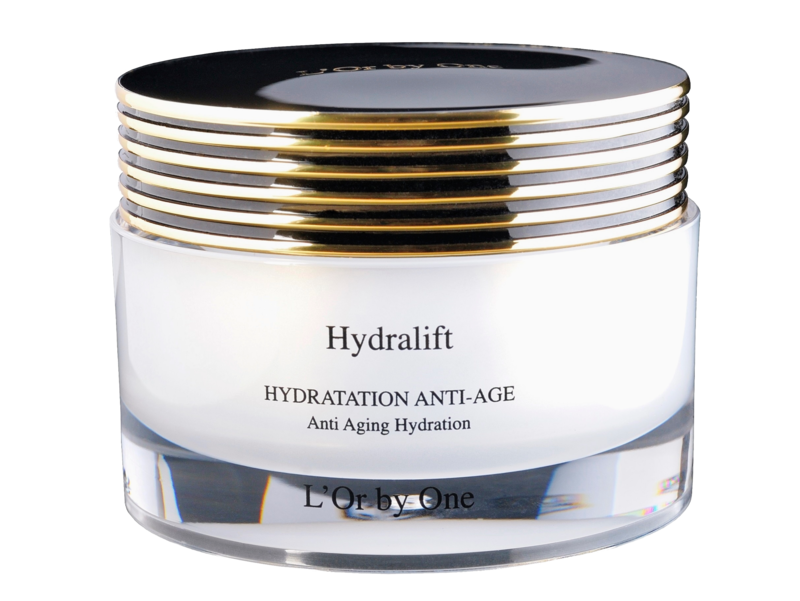 - Rich in Hyaluronic Acid, this intensive skincare treatment ensures that the skin's natural moisture balance is maintained. - Naturally present in the upper part of the skin, it plays an essential and decisive role in the dermal extra-cellular matrix mechanism. It has the capacity to retain water and protect the skin from adverse effects and premature signs of aging. - An active ingredient made from Baobab pulp smoothes wrinkles and fine lines. - This treatment contains oleic acids with anti-oxidant, soothing, protective properties that fight against the irregularities caused by time and the rays of the sun. Apply daily, morning and/or evening on clean, toned skin (face and neck). Use on its own and/or before or after L’Or By One serums, for optimal comfort.